We own a 5 year old HP LaserJet printer. We bought it because we needed a cheap way to print on transparencies when we ran a small silk screening business and it fit the bill perfectly. The unit still works like the day we bought it and turned out to be a fantastic value. 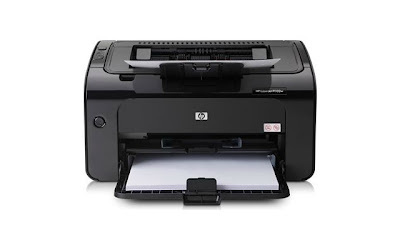 I can say from personal experience that HP laser printers are good quality and long lasting. The newest version of our laser printer, the HP LaserJet Pro P1102w, is dramatically faster and has wireless networking built right in. All this for the same money I paid when we bought ours. Maybe it’s time for an upgrade? I'm torn because the one we have still works so well, but it would be convenient to have that built-in wireless networking.